Surprisingly, tragic events over the past decade have been apparent catalysts for an increase in the number of people who vacation with their faithful four-legged companions. This according to one business in particular that speaks with authority about the issue, Sand N’ Sea Properties, a vacation home rental and property management company located on Galveston Island’s Pirates Beach. Since 1974, Sand N’ Sea Properties has been renting vacation homes on the island and today manages approximately 145 vacation homes with an experienced team of rental agents, inspectors, housekeepers and maintenance personnel. “We saw the first change about traveling with pets after 9/11; pet owners were reluctant to leave their pets at home when going away,” said Claire Reiswerg, daughter of Bert Feinman who co-founded Sand N’ Sea Properties over 35 years ago. “But after the Hurricane Rita evacuation in 2005, things really changed in our area,” added Reiswerg, who joined the company in 2002. Inquiries made by Sand N’ Sea to their homeowners to see if they would welcome pets into their homes received resounding support, resulting in a substantial increase in their inventory of pet-friendly beach houses. 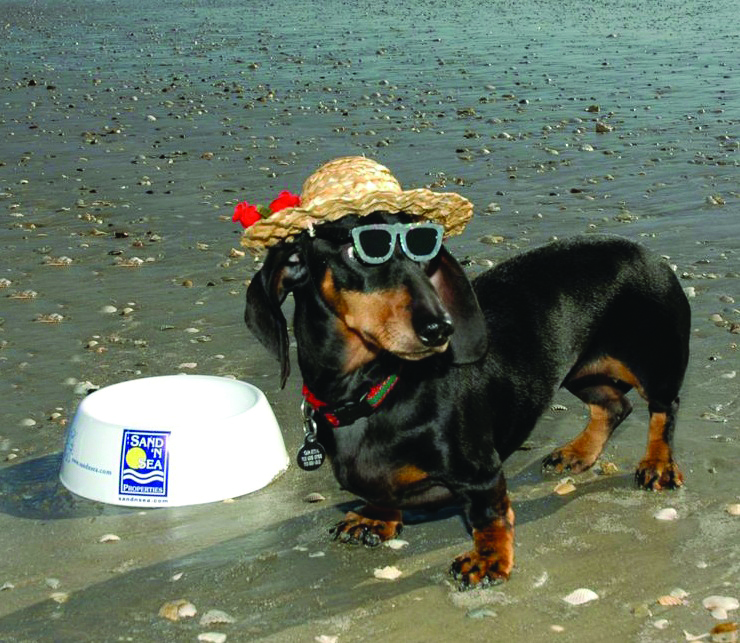 Today almost 1/3 of the vacation rental homes managed by Sand N’ Sea Properties are pet-friendly. “Pet-friendly houses are the first to book for the summer months, and we even have a section that shows only pet-friendly homes on our website,” Reiswerg stated. 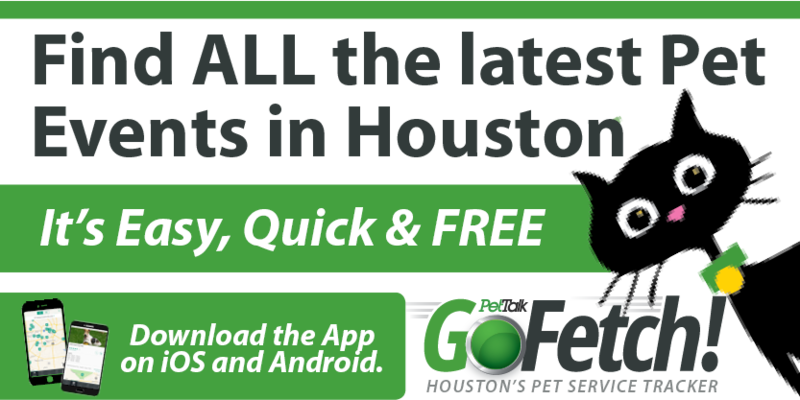 Most guests of Sand N’ Sea Properties travel from the Houston area and appreciate the short drive, which is not stressful for dogs. And everyone knows that dogs love the beach! Upon arrival at one of their pet-friendly properties, vacationing canine family members receive a special welcome gift while the “parents” receive a copy of Sand ‘N Sea’s “Tips for Vacationing Pets,” which includes practical advice to ensure that an enjoyable experience is had by canines and their humans alike while visiting the island. Visit www.sandnsea.com for a list of pet-friendly properties. A $100 non-refundable fee is added to each reservation that includes a pet(s). The Spot dishes up Texas size burgers with a view of the gulf, a great jukebox and a nice patio where dogs are welcomed. Mosquito Cafe is local favorite for any time of day. Back patio has 5-6 tables and welcomes dogs. Olympia offers fresh seafood and Greek cuisine with harbor views, outside patio dining and live entertainment on weekends. Small park next to the restaurant where dogs can romp after dinner! If your pup isn’t always on his best behavior at traditional restaurants, share a burger with him from the comfort of your own car instead! Casey’s Seafood Cafe allows dogs in the outdoor seating area. An eclectic mix of antiques, art, clothing and more await you on The Strand, Galveston’s historic shopping district, where a number of dog-friendly merchants are found. If you’re into socializing with the locals, check out Lindale Park, Galveston’s official off-leash dog park located at 45th and Marine. Plenty of Fido-friendly fun makes Galveston the ideal vacation destination, whether you need to rest your weary bones, or bury them in the sand to be savored another day. For information about Sand N’ Sea Properties, visit www.sandnsea.com or call 800-880-2554.